Kissing Hearts Anniversary Teddy Bear - 15"
Make this anniversary special by presenting your love with this cute Anniversary Teddy Bear. Each Plush White Teddy Bear is a unique keepsake that is sure to be cherished for a lifetime. This Romantic teddy Bear has an irresistible look along with a super soft feel and a cute black nose. To make this teddy bear the most romantic, it wears a sheer red bow around its neck that is accented with hearts. Measuring about 15” tall and makes a wonderful gift for your spouse, girlfriend or boyfriend. You may choose to keep the design we feature on this bear or select a different one that better suits your needs. Free Gift Wrapping and a Free Gift Card are included to create a thoughtful presentation. 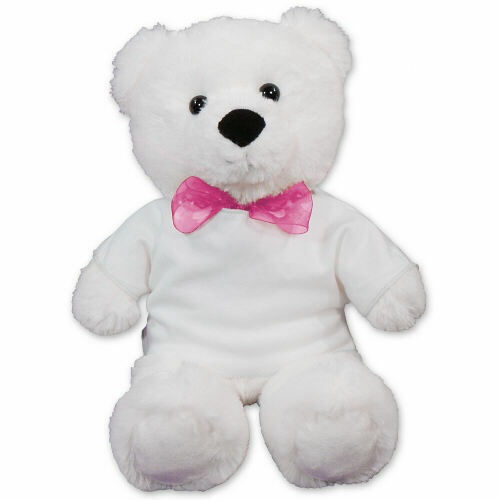 Valentine Teddy Bear - 15"
Let your next romantic occasion mean more with our lovable Plush White Valentine Teddy Bear from Aurora. This Romantic teddy Bear has an irresistible look along with a super soft feel and a cute black nose. To make this teddy bear the most romantic, it wears a sheer red bow around its neck that is accented with hearts. Measuring about 15” tall and makes a wonderful gift for your spouse, girlfriend or boyfriend. Free Gift Wrapping and a Free Gift Card are included to create a thoughtful presentation. 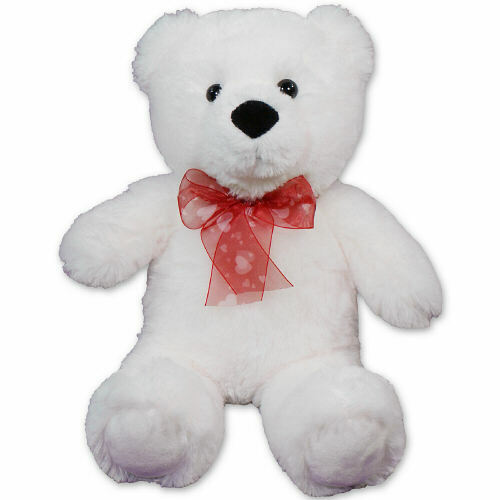 Additional Details 800Bear.com offers the largest selection of Romantic Plush Animal Gifts that are perfect for your spouse, girlfriend, boyfriend or secret admirer. Shop wonderful designs like our Plush I Heart Teddy Bear or our lovable Wild About You Plush Monkey.